The TRS leader’s two other choices were Badugula Lingaiah Yadav hailing from Nalgonda district and Banda Prakash Mudiraj from Warangal district. HYDERABAD: On expected lines, TRS supremo and Chief Minister K Chandrasekhar Rao picked his close relative and party secretary Joginapally Santosh Kumar, apart from two other senior leaders belonging to Backward Communities, for Rajya Sabha elections. Santosh Kumar is the son of Rao’s co-brother and hails from Karimnagar. He will be the fourth member of Rao’s family to hold an elected post, after his son KT Rama Rao (Sircilla MLA and IT minister), daughter K Kavitha (Nizamabd MP) and nephew T Harish rao (Siddipet MLA & irrigation minister). The TRS leader’s two other choices were Badugula Lingaiah Yadav hailing from Nalgonda district and Banda Prakash Mudiraj from Warangal district. By picking up Lingaiah Yadav, Rao had fulfilled his promise of sending a person from Yadav community to the Rajya Sabha. Sources said that though several leaders hailing from SC community and Muslims vied for the Upper House nomination, Rao preferred to choose two dominant backward classes in view of the coming elections. In the run up to the elections, Rao had been doling out various schemes to woo backward communities and one such was the recent sheep distribution scheme aimed at attracting the Golla/Kuruma community. Rao made the announcement at the Legislature Party meeting held on Sunday. Santosh Kumar has been with the TRS ever since its inception. When Harish Rao, who used to oversee Rao’s day-to-day affairs, moved to the State Cabinet, Santosh Kumar filled his shoes. He is also at the helm of affairs at TRS-run T News channel and newspaper Namasthe Telangaana. Santosh Kumar’s elevation comes at the time when Rao planning to play a crucial role in national politics by floating a Third Front. As the proposed Third Front involves discussions and deliberations with various national and regional parties across the country, Rao is said to have sent Santosh Kumar to the national capital so that he can coordinate his visits and meetings with other leaders. Santosh Kumar holds a MBA and Master in Personnel Management from Pune. Speaking to media, Santosh Kumar and the two others said they are grateful to the Chief Minister for choosing them. The three of them will file their nomination on Monday. State IT Minister KT Rama Rao will ensure smooth passage of nomination filing process. YET another member of Chief Minister K Chandrasekhar Rao’s family has been chosen to hold an elected post. 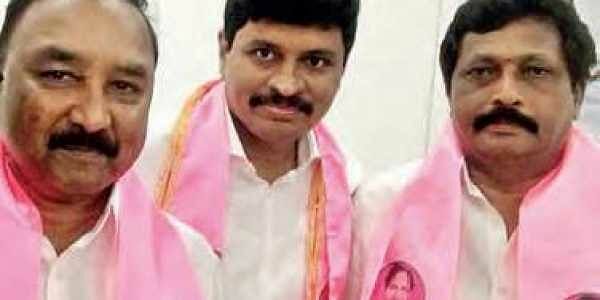 Santosh Kumar, KCR’s co-brother’s son has been nominated for Rajya Sabha elections. Kumar has been with TRS ever since its inception. When Harish Rao moved to the State Cabinet, Santosh Kumar filled his shoes. He is also at the helm of affairs at TRS-run T News Telugu channel and vernacular newspaper Namasthe Telangana. Santosh Kumar’s elevation to the Upper House comes at the time when Rao planning to play a crucial role in national politics by floating a Third Front. As the proposed Third Front involves discussions with various parties across India, Rao is said to have sent Santosh Kumar to Delhi so that he can coordinate his meetings with other leaders. Santosh Kumar holds a MBA and Master in Personnel Management from Pune. Speaking to media after Rao’s announcement, Santosh Kumar and the two others said they are grateful to the Chief Minister for choosing them. The three of them will file their nomination on Monday. Meanwhile, Rao entrusted the responsibilities of smooth passage of nomination filing process to IT minister K T Rama Rao and two other ministers Etela Rajender and G Jagadish Reddy. The Congress, which does not have the adequate numbers to win a single Rajya Sabha seat from the State, had reportedly decided to field former MP Balram Naik. An official announcement is yet to be made. New Delhi: Former Maharashtra chief minister Narayan Rane, BJP general secretaries Anil Jain and Saroj Pandey and its spokespersons Anil Baluni and GVL Narasimha Rao are among the 18 names announced by the party on Sunday as its candidate for the upcoming elections to the Rajya Sabha. The party’s choices for the Rajya Sabha indicate an effort on its part to strengthen its social equations in the states going to the polls this year.